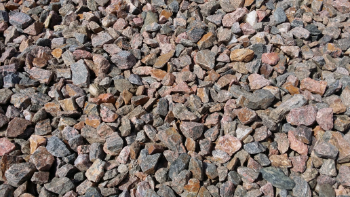 1 ton of 3/4" River Rock covers 100 square feet 2 layers deep, 1 ton of 1 1/2" covers 80 square feet 2 layers or approximately 3" deep. 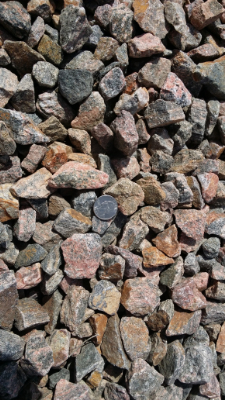 Mountain granite uses include driveways, parking lots, fire pits, culvert drainage, hillside drainage control, erosion control, xeriscaping, french drain construction, mulch substitute, dry creek bed construction and tracking pad rock. 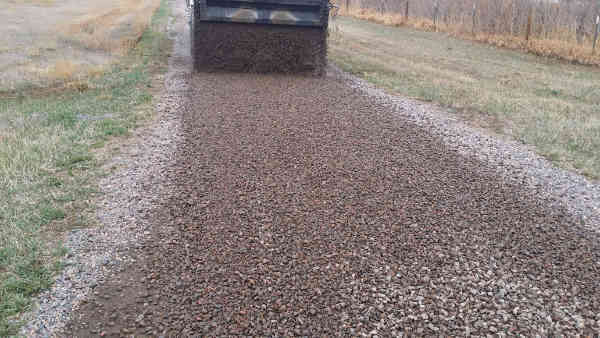 Mountain Granite being spread dumped.